I don’t know about you, but I feel like every time I have a day off my week seems to pass slower, my work was closed Monday for the Holiday and today feels like it should be Saturday already! Today I have for you some more holo goodness! These two are my new beautiful blues I picked up from Darling Diva, one is Anna (glitter) and the other Royale (holo). 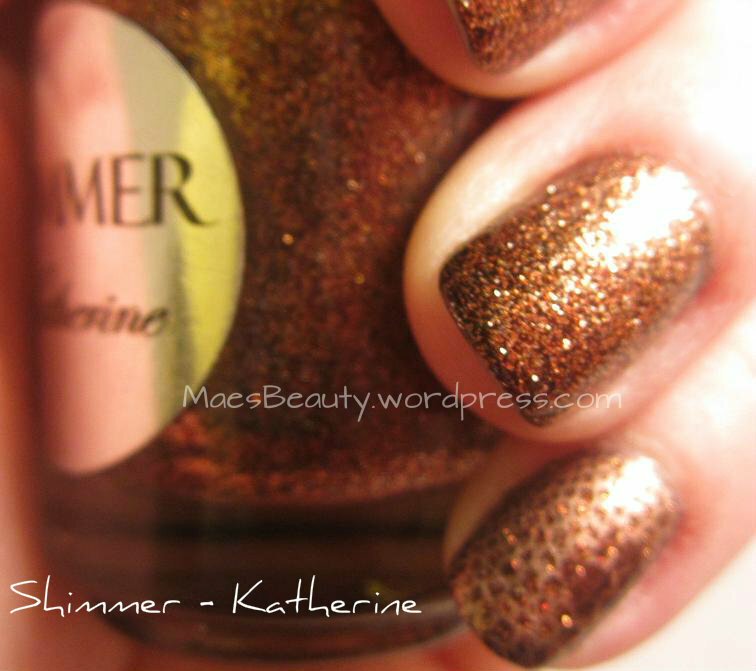 Both of the formulas were great, In fact Anna, the glitter I was more surprised about. Most glitters you need a base coat, or at least I do, because I don’t like to see my natural nail under it. Although this suspended in a very light blue almost clear base, it covered really nicely with only 2 thicker coats. You read the title right, I bought some texture polish! I know I know… I have said many times before how I hate texture polishes, it drives me nuts, or would drive me nuts because I refused to buy it, however… I caved and tried it. I bought OPI Alcatraz Rocks, Let Me Go, and Magazine Cover Mouse! I decided to try Magazine Cover Mouse first for this next Valentine’s Day look, alongside two coats of Zoya’s Barbie topped with OPI’s Minnie Style. As much as I resisted the texture, this one wasn’t so bad. From what I gather from the rest of you ladies that were braver than I some are more textured than others, and for me this one was perfect, it hasn’t bothered me at all! I love it actually! So the Wonderful State of New Jersey… really the East Coast is expecting another whopper of a Snow Storm today in to tomorrow… and when I say whopper I mean 8-10 or 10+ inches… or at least that’s what the weather people are saying. I hate watching the news with these types of things because each channel has a different ‘prediction’ one says 4-6 inches, one says 12+ inches, one says 8-10.. one channel says it’s going to start at Noon, another at 4, it’s just insanity. 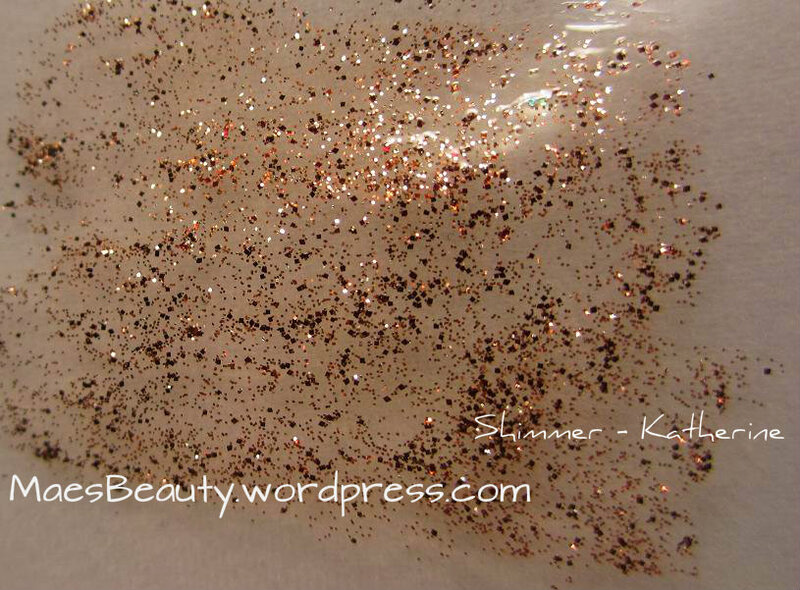 I thought that (2c) KB Shimmer’s Snow Much Fun would be perfect for this occasion. I paired it overtop 2 thin coats of Revlon’s Coastal Surf. So this gorgeous polish was a little gift from my Almost Birthday Twin Frosso! It’s jelly-like so that is why I paired it overtop Coastal Surf which was just about as perfect of a match as I think possible. It’s got all kinds of fun, glittery specs and even some snowflakes! The formula was really easy to work with, you did however have to really did for the snowflakes, at least in my bottle. How could you not love this polish though! Happy Friday! We made it to another Friday! woohoo! *This polish was sent to me for unbiased review. 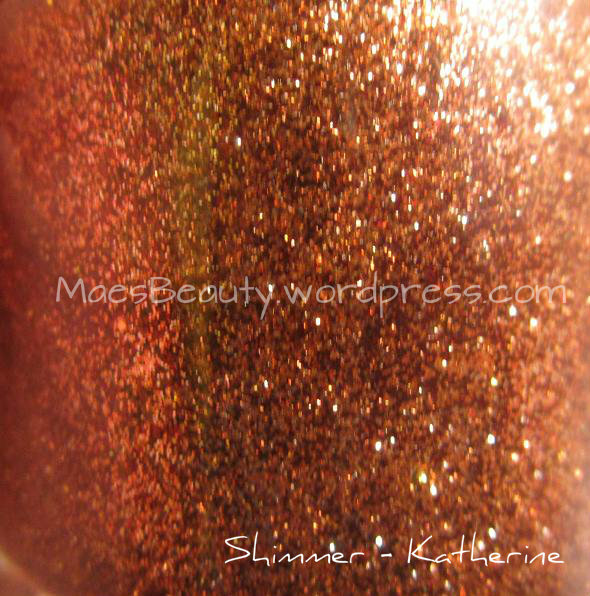 ‘Katherine’ is a gorgeous bronze glitter that also has some sparse specs of brown. I then did a very subtle stamping look; you can see it better in some pictures than others. I stamped a snake skin pattern on my pinky using stamp ‘Wistonia w101’ and ‘Essie -Penny Talk’. I then stamped the animal paw print on top of that using ‘ Sally Hansen – Forbidden Fudge’. 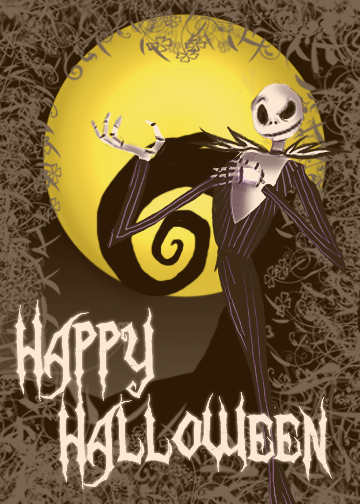 Well guys, I am back this week with an all new Featured Color Friday for those of you that missed this last week! A while back, I had gotten Jessica over at Once Upon a Polish “Smitten Polish – Winter is Coming” The polish is named and based after the HBO Series, Game of Thrones (and books of course); A show in which we share a similar love for <3. This gorgeous creamy jellie also has bright blue like royal/cobalt hexagonal glequins, along with teenie white and baby blue glitter mixed in. Once I saw Jessica do a swatch of this, I knew I too, had to have it!